Ovaj oglas je istekao 17.03.2019. i više nije aktivan. a unique software company. We are a technical solution partner for engineering companies, developing tools in the field of asset integrity risk management, health, safety, environment and quality (HSEQ), geomatics engineering and statistical analysis. With offices in the heart of The Hague (The Netherlands), Zagreb and Pula (Croatia) we built a diverse, multi-cultural team of enthusiastic, passionate, and driven people. We welcome creativity, initiative and fresh ideas and value work-life balance. In short: As a database engineer you will work together with the existing team in designing, developing, implementing, documenting, and operate data structures for both existing and future apps/services. Participating in DevOps activities in order to find the best technical solution for enhancing internal processes. We are an English speaking company, so please send your CV and application in English. 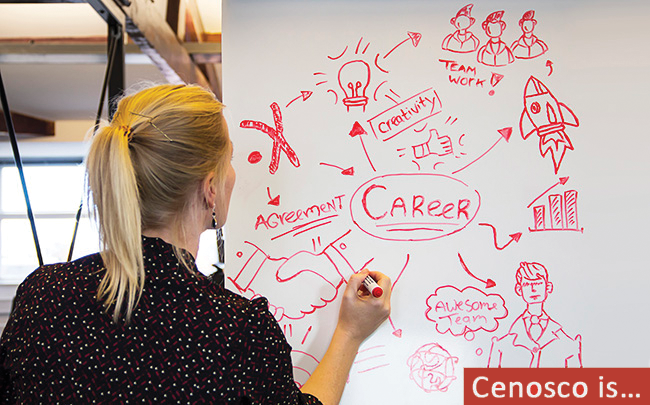 Cenosco is an equal opportunities employer and supports workforce diversity. All applications for vacant positions will be welcomed and considered on the professional merits of the applicant against the role profile for the position regardless of nationality, ethnic origin, gender, sexual orientation, marital status, disability, parental responsibilities, age, religion or belief.